Along with neighboring Prospect Heights, Clinton Hill is a central area of Brooklyn that’s rapidly becoming a more popular place for younger New Yorkers to live. 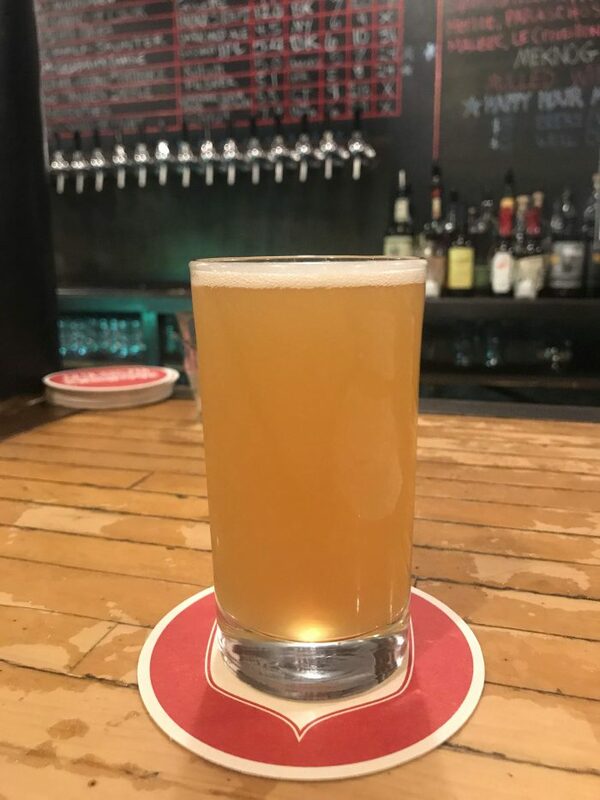 With popularity of course comes craft beer, and there are a couple of craft beer bars in Clinton Hill that stand out as great places to drink. 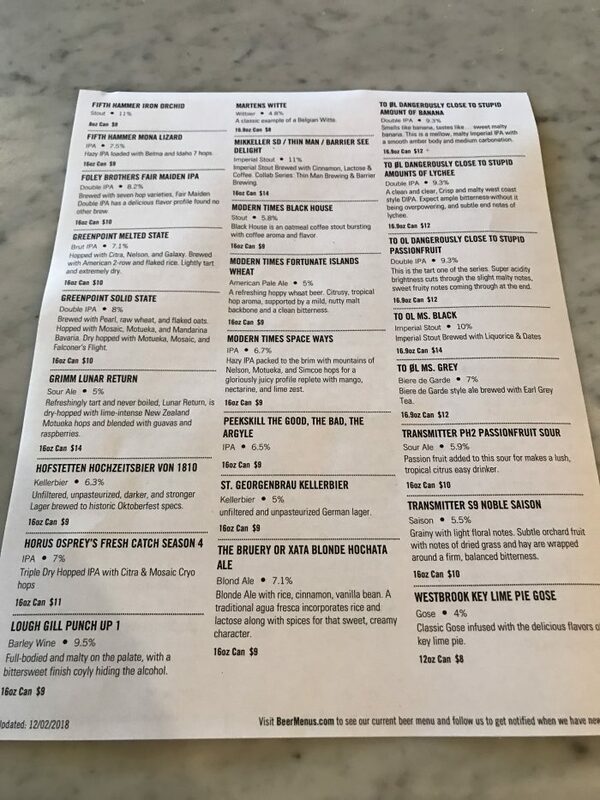 Here are my favorite Clinton Hill craft beer bars. Mekelburg’s was first brought to my attention thanks to a photo of a gorgeous sandwich that I had seen on Instagram. 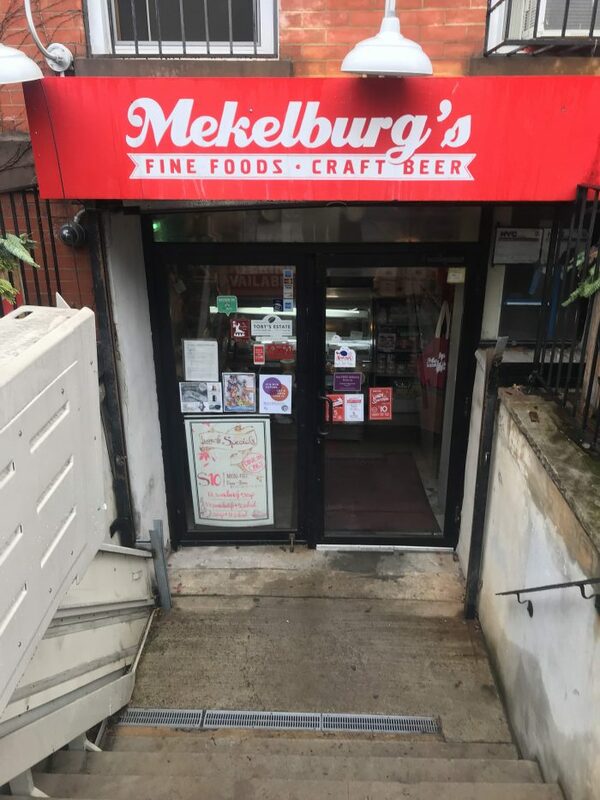 From the outside, Mekelburg’s doesn’t look like much, but head down the steps, and you’ll find a nice market selling high-quality food items, including meats, cheeses, & their famous babka. Head to the back and you’ll find a bar & deli. The food alone is worth a visit to Mekelburg’s. 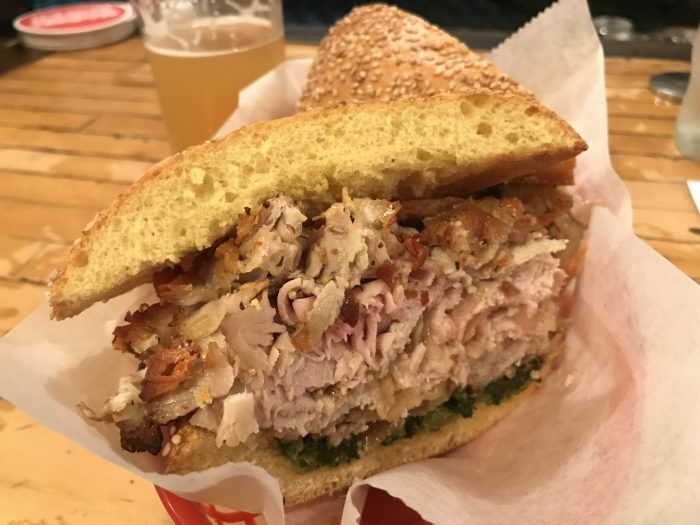 Just look at this porchetta, broccoli rabe, & parmigiana sandwich. 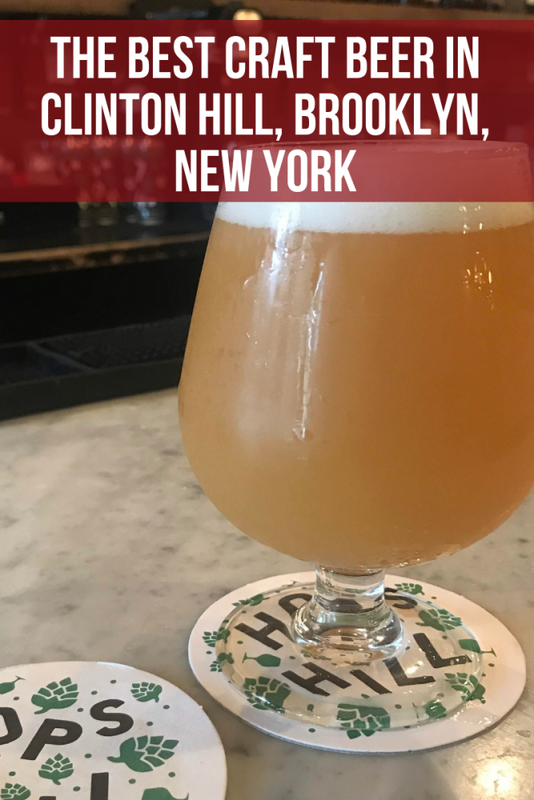 If you’re not hungry (which will be impossible once you’ve seen & smelled the food), there are also 16 taps of local beer from around NYC & the surrounding Northeast. 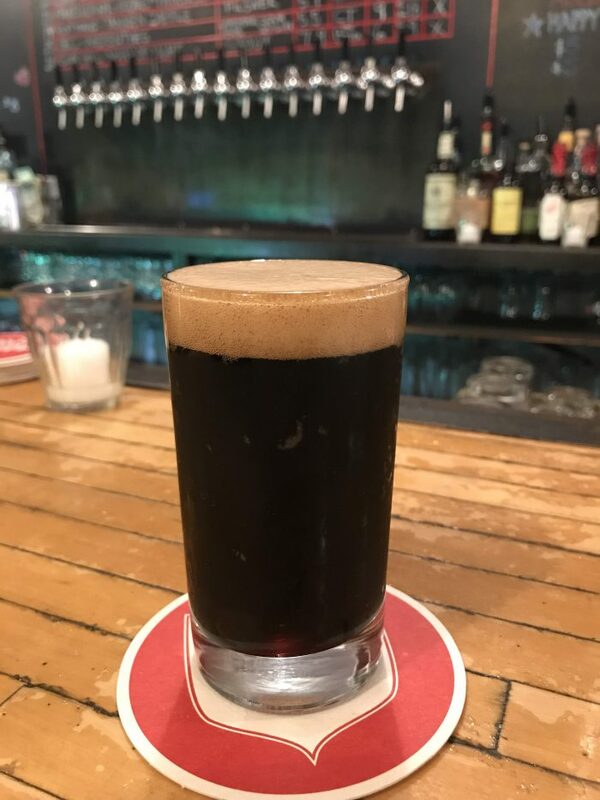 I’d only planned on having one beer with my sandwich, but once I saw the chocolate babka beer created in honor of Mekelburg’s opening a new location in Williamsburg, I had to treat myself to a dessert drink. 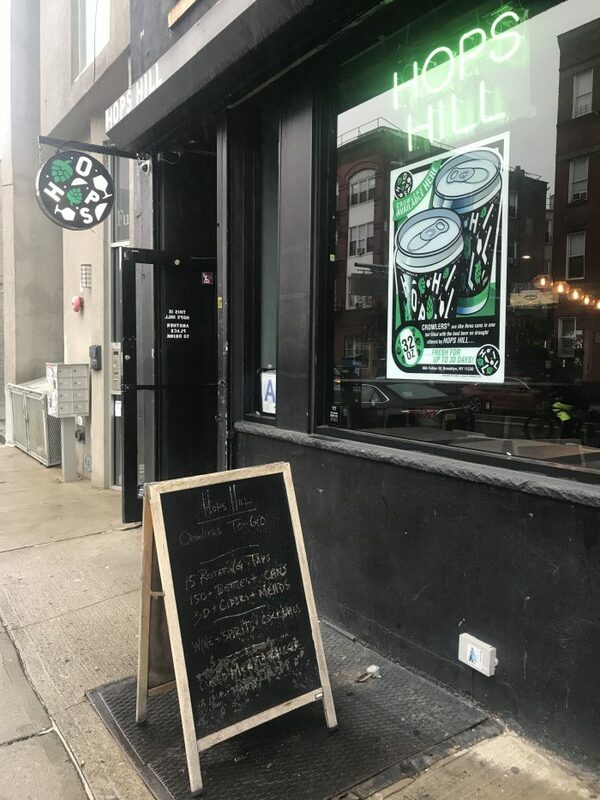 Hops Hill is an unassuming bar along Fulton Street in Clinton Hill. There’s no fancy decor or pretentious theme here, just a great selection of beer. 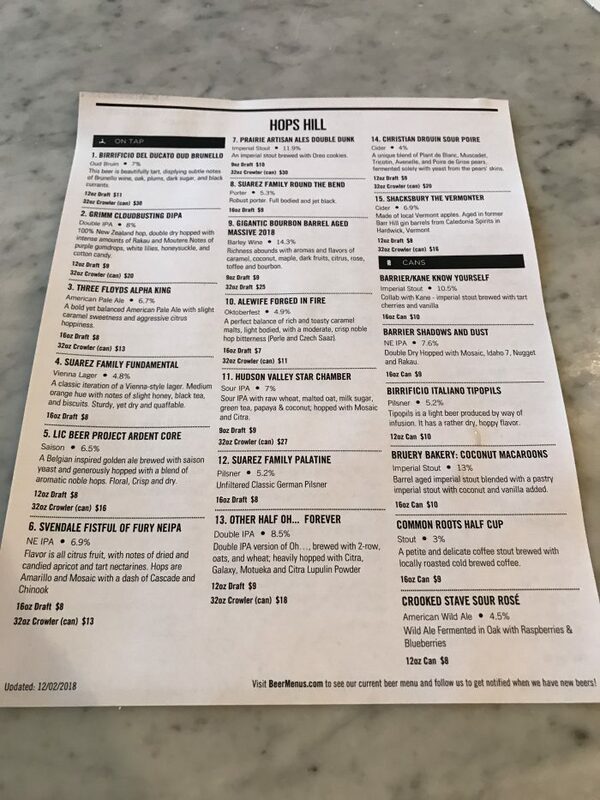 The 15 taps at Hops Hill rotate frequently, including selections from local Brooklyn breweries such as Other Half & Grimm. There are also over 150 cans & bottles available, ranging from local, reasonably priced beers to rarer, more expensive selections. If that’s not enough, the bar has a crowler machine, so you can take their draft beers to go. Despite the name, Hops Hill isn’t just a craft beer bar. 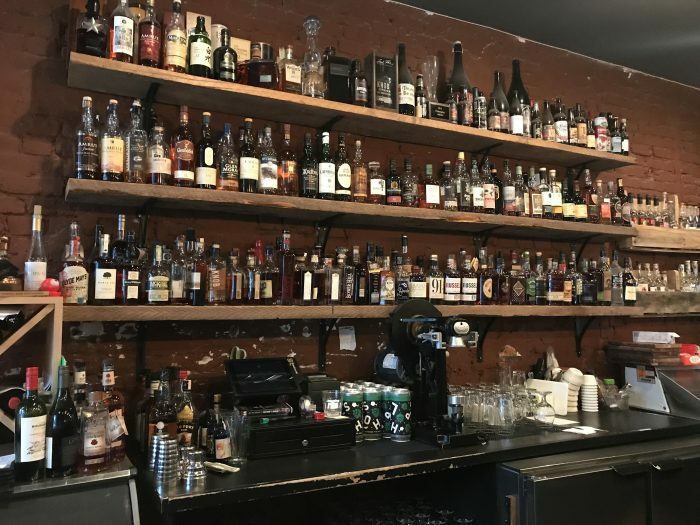 Their massive whiskey selection is also impressive, as is their long cider list. 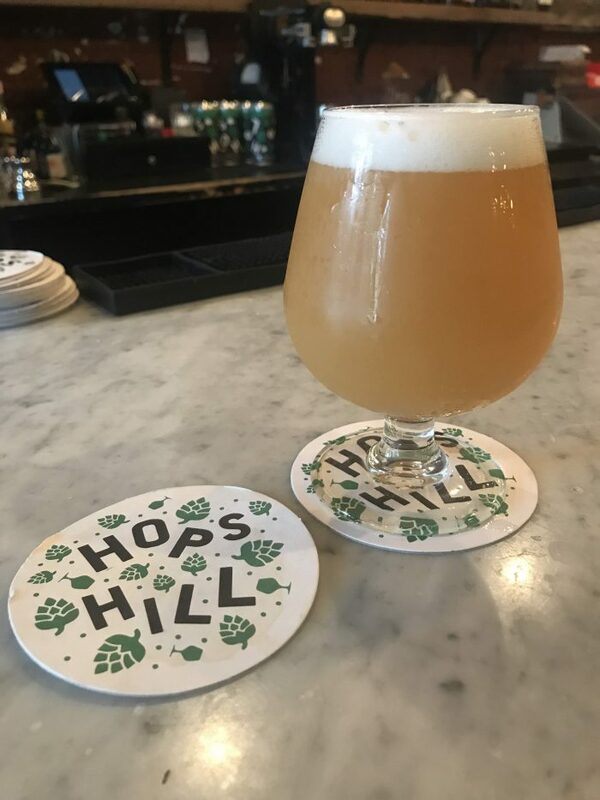 Whether you’re sitting inside listening to trains rumble below or sitting outside in the backyard, Hops Hill is a great chill place for whatever drink you’re up for. Brooklyn is always changing, so inevitably Clinton Hill will see more beer bars open. 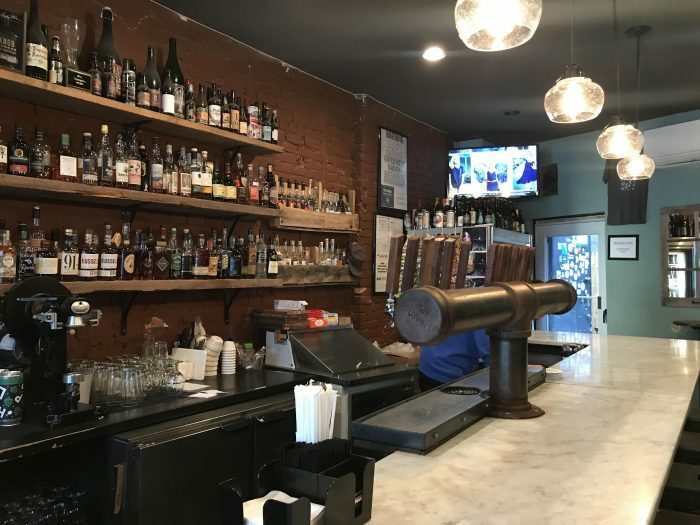 For now, Mekelburg’s & Hops Hill are a solid start for the neighborhood, plus there are a few more cool beer bars in nearby Prospect Heights. 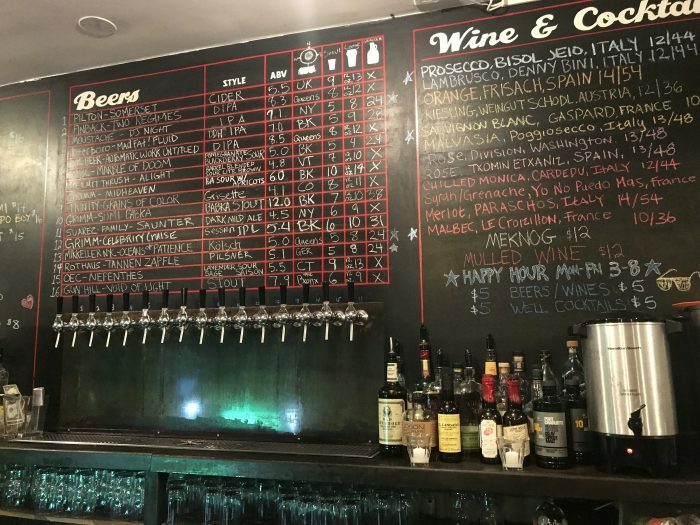 Have you spotted a great new place to drink craft beer in Clinton Hill? Let me know in the comments!